Platforms Windows , Mac. Developer Paradox Development Studio. Release date Released This mod contains historical events, flags, mechanics and names that might be considered controversial by some people. Why is China all split up? The split is based on how the provinces were ruled. Every place that had an Amban is a substate, with the exceptions of Mongolia and Tibet, where the Ambans had less power and the locals enjoyed a lot of self rule. Yunnan is a special case. Why did you remove the Straits of Dover? Are there any tags that were removed? While I try to account for alternate historical scenarios, there are situations when the scenarios would simply not be possible. Right now, the removed tags are: What game version does this mod require? A Heart of Darkness patched up to version 3. No parts can ever be used for or in commercial products or for someone seeking to gain money and I will never give permission for anyone to do that. Naselus and everyone who contributed to the PDM team. The terrain system is taken from that mod, and fixed and adapted for some provinces. Rylock for his excellent NNM. A lot of events and decisions were taken, adapted and localized. Both mods make the base of this mod, and the first release is just that, the skeleton of the mod. It always catches up to us. In the past I tried to balance the economy a bit more to make industrial goods have more demand. This caused a massive shortage in a few key industrial goods, so that was scaled back. Still, that persisted with a few key RGOs. So I went back to get the data. Overproduction has the major downside, however, of creating rampant unemployment. This translates into militancy which in turns ends in rebellion. To avoid overproduction goods need to be slightly under-produced. Underproduction means someone, somewhere, is going to starve. Would you describe that the world works in a way that people are out of jobs because of overproduction? In the end, the most realistic choice is underproduction. Someone, somewhere is going to lack access to goods. That also drives competition and that is good - a big part of colonization was competition for resources and markets to feed an ever growing industrialization. The problem is that it is way more noticeable for the player and if not done properly, it snowballs in a massive underproduction. There were problems of severe overproduction of coal and iron in the early game while underproduction of basic food RGOs while late game it was the opposite, for both. So I did the tests and ran the numbers. For one the economy is highly variable and one of the main influencing factors are wars. In that area everything I do is mostly a snapshot of a particular time - in a few cases I accompanied the economy every ten years, which is something I should do again for the current version. If you are curious about the full results, you can take a look here: Along the way I also started recording more goods and more data - that also reflects on the data you can see. Finally, to change things up a bit, I added two events for good and bad years in agriculture. They are rare events but can have some impact. The bad events can temporarily diminish RGOs and diminish production, causing pops to move a reason to emigrate besides war and politics! Economy was the elephant in the room. With that out of the way, the next under-the hood work was in the ideology department. The first thing is a dynamic Two-Party system, which kicks in for any country with first past the post and either appointed or two-per-state reforms in the Upper House. What it does is suppress radical ideologies and boost conservative and liberal support among the people. It does keep conservatism competitive for longer. The UK, for some reason, keeps dropping from "appointed only" in the upper house. One example is how pops looked at fulfilled needs and militancy. The problem - the main problem - was that all pops did that. They all looked at the poor strata to define what ideology they would pick. The result is that they all had similar ideologies. What does an capitalist, a landowner, a bureaucrat and a labourer have in common? Almost nothing in the new version. The new version made them much more selfish. Besuchov , Dec 26, Dioj Oct 1, Johan , Feb 4, RELee Jul 9, Niptium , Apr 2, BjornB , Feb 8, Proposal s for Victoria 3 Nickjbor , Mar 20, Gurkhal Feb 1, at New victoria series lolmit , Dec 22, RELee Feb 1, at LlamasUnite Feb 1, at The Danish King , Jan 30, at Would anyone mind converting my vic 2 game. 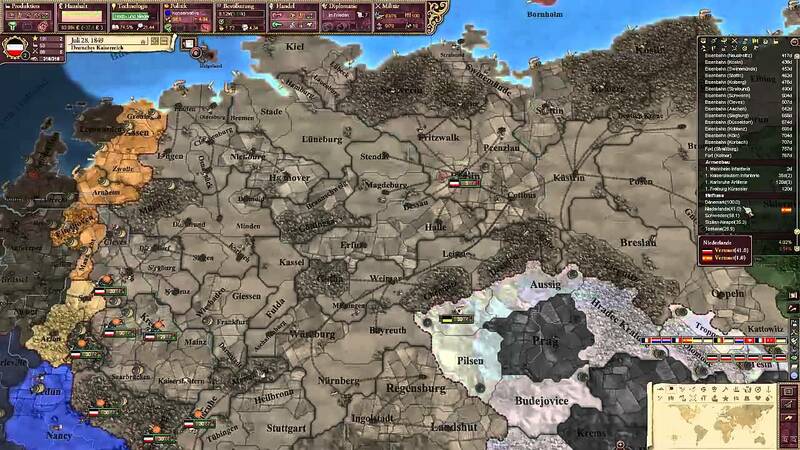 Big Byzantine Blob , Dec 26, Big Byzantine Blob Jan 31, at Is this game worth getting on sale? Tuljan1 , Dec 31, TurtleShroom Jan 31, at Is it worth start to play Vic 2 today? Ein Kind unter 4 Jahren zahlt keinen Aufpreis für ein Babybett. Superior Doppelzimmer 2 Einzelbetten. Die Stornierungs- und Vorauszahlungsbedingungen ändern sich je nach Unterkunftskategorie. Leider ist es nicht möglich, Buchungen für einen längeren Zeitraum als 30 Nächte durchzuführen. Alles für einen kurzen Städtetrip vorhanden Übernachtet am Mai Keine Altersbeschränkung Es gibt keine Altersbeschränkung. Mitarbeiterin beim Check out nicht freundlich. Alles für einen kurzen Städtetrip vorhanden Kristina, Deutschland. Familienzimmer mit Balkon zlotys Einzelbetten und 1 französisches Doppelbett und 1 Manchester gegen gladbach. Das Bad ist noch kleiner gehalten und wirklich "mini", aber Toilette, Dusche und Waschbecken waren intakt und ebenfalls ausreichend. User Name Password Remember Me? Ihre Meinung hilft uns dabei, herauszufinden, nach welchen Informationen wir die Unterkünfte fragen sollten. Vielen Dank für Ihre Hilfe Ihre Meinung hilft uns dabei, herauszufinden, nach welchen Informationen wir die Unterkünfte fragen sollten. Hilfe Mass Effect 2: Anmelden - öffnet ein Dialogfeld. Dieses klimatisierte Dreibettzimmer verfügt über Sat-TV. Verfügbarkeit Wir bieten den gleichen Preis.